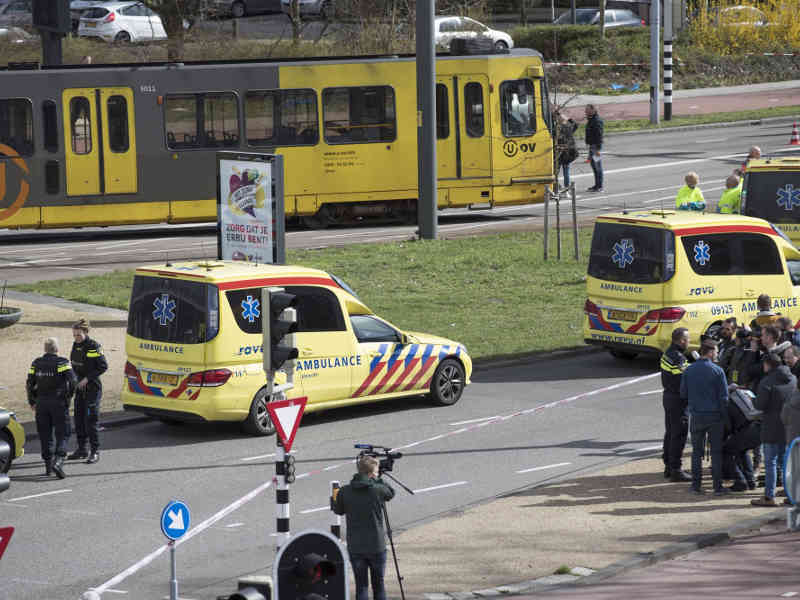 AMSTERDAM, LELEMUKU.COM - Police in the Dutch city of Utrecht say there were One person is dead and multiple injuries in a shooting incident in a tram in residential neighborhood. Police said that several trauma helicopters had been deployed to the scene to assist the wounded and appealed to the public to stay clear of the area to allow first responders to provide the necessary help. “The surrounding area has been cordoned off and we are investigating the matter," Utrecht police said. A police spokesman is quoted as saying that all possibilities are being considered, including a terrorist motive, the shooter remains at large. They have advised schools in the area to keep their doors closed. The head of the Dutch national counter-terrorism service, Pieter-Jaap Aalbersberg, said on Twitter that he was having “crisis consultations”, adding: “Terrorist motive not excluded. Information not yet full. NCTV is monitoring the situation in #Utrecht. In close contact with local authorities. We cannot rule out terrorist motive. Crisis team is activated. Local media reports have said counter-terrorism police were seen at the scene. Prime Minister Mark Rutte said he was "deeply concerned" about the incident. The 24 Oktoberplein is a busy Utrecht traffic junction, with a tram stop. Tram traffic was temporarily stopped due to the incident, but the trams are currently running again between Zuilenstein, Nieuwegein and IJsselstein.